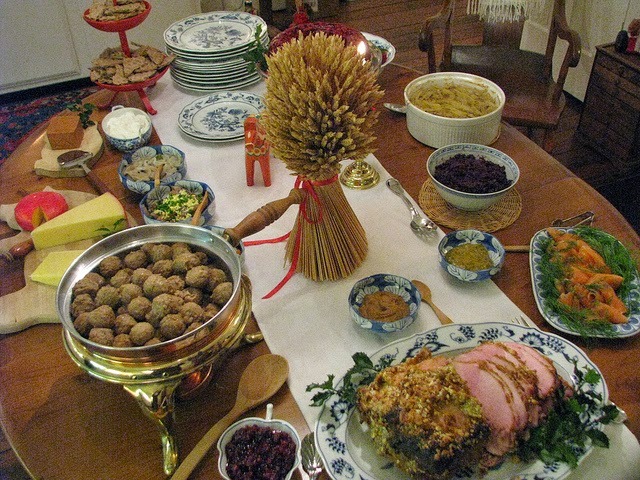 Each year on Christmas Eve, my folks hosted a smorgasbord with all the Scandinavian delights one might desire. Friends and family gathered at #MyOldKYHome for food and drink that lingered late into the night. But the homeplace in Lexington's Western Historic Suburb was sold earlier this year and change is afoot. The Fiddler still works to muster the word, "Tradition," but things won't be the same. Year after year, the menu of smorgasbord has remained virtually unchanged. Our family never has taken change (particularly in the food arena) very well. Tradition. And food. A dangerous combination. But a few years ago, one small change was made to the Christmas Eve cookie lineup: gingerbread. Not boring gingerbread cookies, mind you. At the 2010 World Equestrian Games, my wife picked up a cookie cutter at the Maker's Mark store shaped like a bottle of Maker's. Her immediate thought was making gingerbread cookies. Mix the powdered sugar, vanilla, and milk together. Once dry add small amounts of milk and stir until the icing is runny enough to drizzle lightly from a spoon. Now add the food coloring, remember to do this a drop at a time as a little bit can make a dramatic difference. Oh, the icing... my was it good!